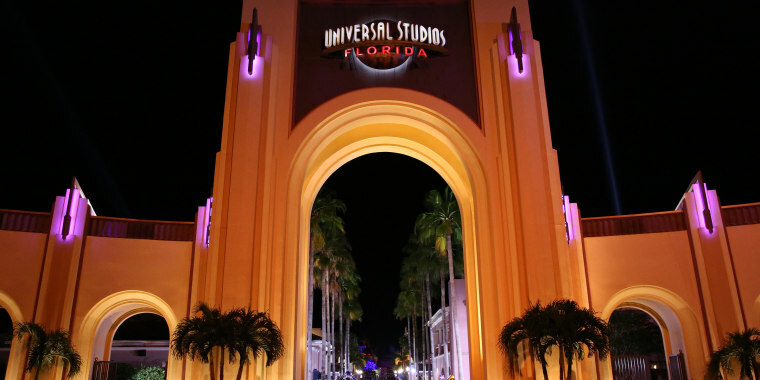 This Florida family destination, which has had Steven Spielberg on its roster of creative consultants, is home to three theme parks: Universal Studios Florida, Islands of Adventure and the Volcano Bay water park. Whether they're obsessed with Dr. Seuss stories, the Minions or all things Harry Potter, kids will love the chance to insert themselves into the stories behind their favorite books, movies and television shows. One of the resort's biggest claims to fame is its Wizarding World of Harry Potter, which is divided between Universal Studios and Islands of Adventure. The two areas are connected by (naturally) the Hogwarts Express train, which guests can ride if they've purchased a Park-to-Park pass. The Universal side has a London streetscape with Diagon Alley and famous HP landmarks. There's a real-life Leaky Cauldron restaurant, an Ollivanders wand shop (you can pre-order an interactive wand that can be used at various spots within the Harry Potter areas) and a thrilling underground ride based on the Gringotts bank vault. Over at Islands of Adventure you'll find the village of Hogsmeade, with Hogwarts Castle, a Three Broomsticks restaurant, Honeydukes sweet shop and the family-friendly Flight of the Hippogriff roller coaster. For a darker, more intense experience, try the high-tech Harry Potter and the Forbidden Journey, which takes riders through and above Hogwarts and includes 3D and 4D animation. Ever wish you could step into a Dr. Seuss book? The Seuss Landing section of Islands Adventure is the next best thing. Rides include the relaxed Cat in the Hat experience, where you'll sit in a couch-like car and maneuver through the different rooms from the story; One Fish Two Fish Red Fish Blue Fish, with its squirting fountains; the High in the Sky Trolley Train, which offers great views over the park; and the Caro-Seuss-el, a merry-go-round filled with Seuss characters that can be maneuvered with reins and levers. At Universal Studios, older kids can satisfy their need for speed on one of Universal's newest rides, Fast & Furious—Supercharged, which simulates a high-speed car chase. While you're waiting, you can pass the time checking out some of the original cars from the movies, which are on display near the entrance. With its sunny-meets-groovy vibe, the Cabana Bay Beach Resort, proves that great style and affordability don't have to be mutually exclusive. Mermaids-in-training will love the pool's lazy river and the fact that it's just a short stroll to Volcano Bay; in fact, some rooms overlook the water park and its behemoth Krakatau aqua coaster. Rooms have a midcentury modern flair, and although the most basic ones feel cozy (they're only about 300 square feet), there are family suites that offer more breathing room. On Friday evenings, characters like the Minions make special appearances in the lobby. Note: Guests who stay at any Universal hotel can enter the theme parks one hour early and go on specific rides, including Harry Potter and the Escape from Gringotts and Harry Potter and the Forbidden Journey. Mythos might have been the name for one of Aristotle's elements of tragedy, but there's nothing upsetting about this Hellenic-themed restaurant that's located in the Lost Continent section at Islands of Adventure. The restaurant, which many Universal fans put on the top of their "don't miss" lists, appears to be carved out of a massive rock formation with waterfalls rushing down the sides. And the grotto-like atmosphere inside makes you feel like you're eating in a cave (albeit an especially classy one). Most menu items, such as spanakopita dip, lamb meatballs and a mezze platter align with the Mediterranean vibe, but there are a few outliers, such as pad thai and gnocchi bolognese.